I have spent my entire professional career working with people who want to get and stay healthy and physical activity is always one of my first recommendations. And it is truly gratifying to see how even small lifestyle changes, such as walking a little more or doing yoga once a week, can make a big difference in someone’s health. More importantly though, engaging in a physical activity or sport that you enjoy also brings a wealth of psychological benefits that will improve your outlook on life and give you an edge when it comes to achieving your life’s goals. Why do I say this? Simply because my life experience has proven it to be true beyond a doubt. As far back as I can remember, I wanted to be a swimmer. And I achieved that goal, won two Olympic medals, set a few world records, and learned a lot along the way. But the important thing for me, and what I want to share with you, is that winning gold and silver medals, while clearly high points in my life, turned out not to be the most important benefit of being a swimmer. Swimming prepared me to succeed in life. So, what exactly did I learn and how did swimming prepare me psychologically for success? I learned that people tend to admire Olympians more than professional athletes because we are not competing for money or fame but rather for a higher ideal – patriotism. I remember getting on the starting block and thinking “people are counting on me to win for the U.S.” It taught me to look beyond myself to something greater than me – my country! So, find a higher purpose for the activities you engage in. If you like dancing, perhaps your motivation should be “I want to dance at my daughter’s wedding.” Dancing for her may motivate you to become a better dancer than simply just dancing for yourself. Try it and see the difference it makes. Competition success may include thousands of hours of losing! But I learned, and had to remember, that losing was not a reflection on me – it didn’t mean that I was a loser – it just meant that I needed to persevere, identify my weaknesses, fix them and work harder next time. And I did! Our physical shape as swimmers is usually one of the first things people notice and comment on. 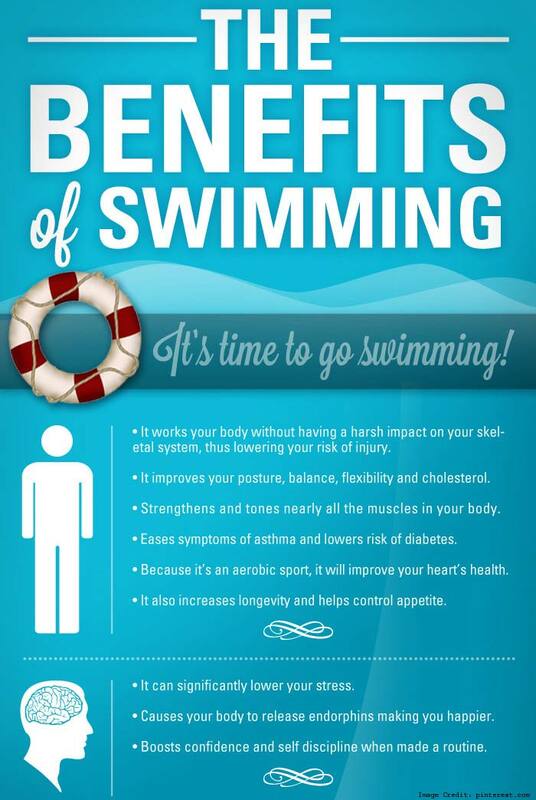 It appears that the “swimmer´s body” is an ideal that many people have when they start working out. But that fitness is really an inside job. As trite as it may sound, the physical manifestation of swimming is really the result of the inside work I did and continue to do. Feeling and being healthy emotionally and physically has more to do with our mental work than with miles swimming laps. It recently occurred to me that over my entire athletic career I had swum back and forth to China twice. Trust me when I say I didn´t do it to look “fit” – there are easier ways to do that! I was only able to do it because I was “fit” on the inside. Swimming taught me that I had to trust and focus on the process of training to become a world-class swimmer. This is not only true in swimming but it is also the foundation for any long-term success. Psychologically, I had to believe in and trust the process I was given – practice, nutrition, leisure time, technique, criticism – and follow it even when I had doubts, didn’t feel particularly motivated or wasn’t enjoying it. We must trust the experts, put our egos aside, be a little humble and be open to learning from them. Trusting the process works. Having audacious goals are great. But they don’t do a whole lot to keep you motivated over the long haul. One important thing I learned is to break my accomplishments up into “little wins” knowing that each one pushes me forward to a greater win. Some days getting out of bed and making it to practice was the win. Other days, placing first in a local competition was the win. And on others, winning a regional competition was the small win. And before I go to sleep each night, I write down the positive things I accomplished during the day that I am especially proud of. Try this and you’ll see how much less stressful and how much more enjoyable competing can be. The first helps you keep your focus on what you’re trying to achieve and the second gives you the roadmap for doing so. While some self-confidence is innate, most of it comes from achieving goals and doing a good job. My dad always told me that nothing is easy and nothing is hard, and that a Gold Medal wasn’t going to be handed to me. But that since someone had to win, I should do all I could to make sure it was me. And two of the key things necessary for that kind of win are self-discipline and structure. It’s a formula that works every time and that gives me more and more self-confidence. Despite being part of a team, swimming is essentially a solitary endeavor. Your only company in the water is the black line down the center of the lane and the always-ticking digital clock on the wall. Countless hours alone practicing and swimming laps gave me plenty of time to be “alone” with myself. This taught me how to clear my mind of extraneous thoughts, how to focus and how to really listen to and get in tune with my body. It also taught me the difference between being alone and being lonely and allowed me to better focus my emotional energy on achieving my goals. Give this a try by taking a walk alone in the woods or swimming some laps or practicing yoga in your living room. You’ll be amazed at how much more in tune with yourself you will become. It was tough to be in the pool when friends were at a party. It was even more difficult to get up at dawn on a snowy morning, jump in a cold pool and swim 800 meters, then head to class until the middle of the afternoon, head back to the pool for another four hours, then head home to study and sleep. But these sacrifices taught me early on to discount that the importance of immediate gratification. The medals were well worth that sacrifice! Yes, I dreamt about winning the Gold Medal every day and every night, but I also dreamt about winning overset in practice or finishing more yards in a day then I had before. Achieving your goals isn’t about just having dreams of your ultimate goals any more than it is about checking off today’s goals from a list of things to do. Life can be intense and working to achieve your goals, no matter what they are, is going to require a certain level of effort. And this effort will need to be intense at times. How intense? Enough for you to want to just give up and say, “it’s not worth it” and do something else. And everyone has their own threshold for what is “intense.” What swimming taught me is that intensity is just a feeling or a subjective evaluation and that I could use the word “challenge” instead of “intense” and get through it. Put together, these psychological lessons and benefits lead me to the unshakeable conclusion and belief that I truly can do anything if I work hard and stick to the process. And you can do the same!